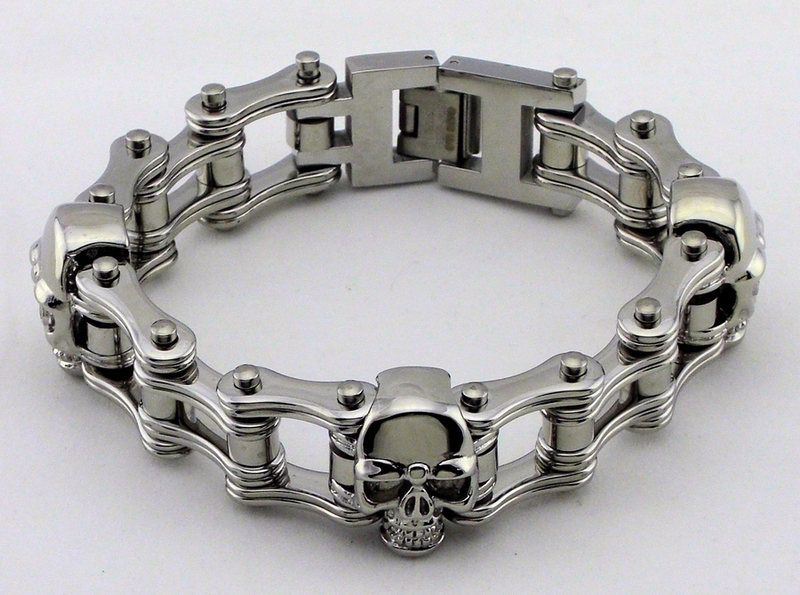 Beautiful men’s silver stainless steel bike chain bracelet. Has silver rollers and three silver skulls. 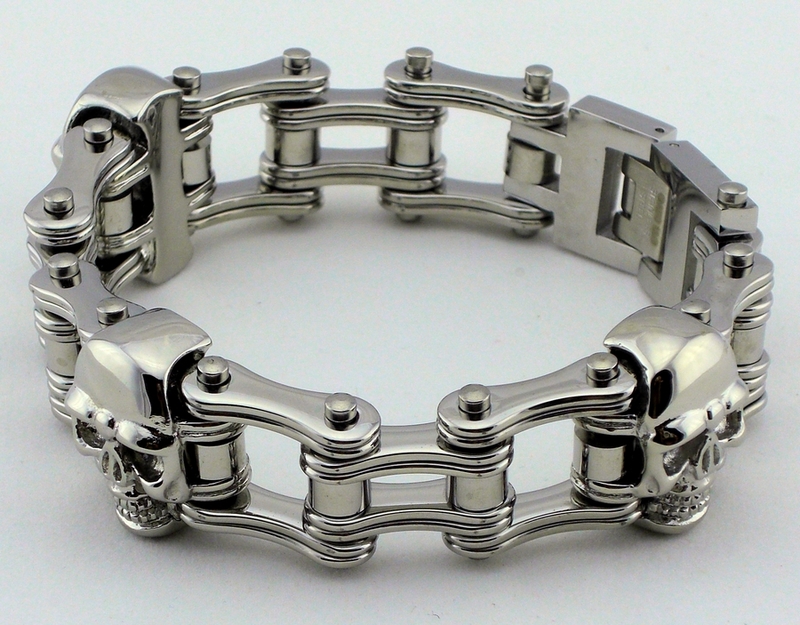 Made of the highest grade 316L stainless steel; will not rust, turn color or tarnish. Comes with a .25 inch extension to make it longer if needed. 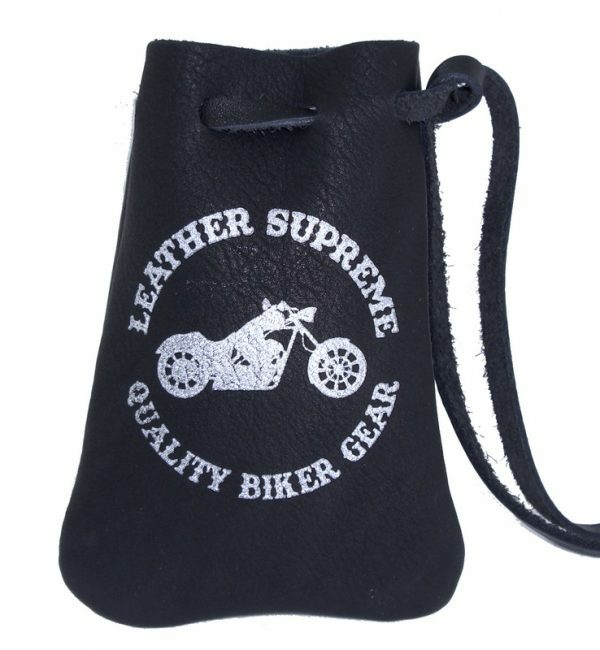 Packed inside it’s own quality leather drawstring carrying pouch. LEATHER POUCH COLOR CAN VARY! Made in the USA! Free shipping inside the US!